We have the outdoor lighting professionals, experience and resources to help with everything that involves outdoor lights. From the design stage to the installation to operation and maintenance, we do it all. We also provide, operate and install standard as well as decorative lighting fixtures all of which have passed our very stringent standards. This ensures that everything we supply to our clients is of utmost top quality and provides the highest level of performance and reliability. 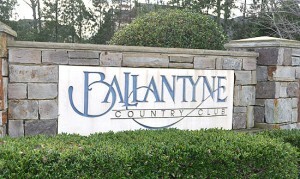 For all your Ballantyne Country Club outdoor landscape lighting contact us today, we would be glad to design a customized lighting unit for you. Give this family owned and run business a chance to turn you into a believer today. Like many other clients we have served, we guarantee that you will be happy with the results. Divine Lightscapes has served many people in the Ballantyne country club area and all of them are happy with our results. We help to turn your vision into a reality and use of expert knowledge of lighting to enhance it. This turns your backyard into an extension 0f your house. You no longer have to retreat indoor when darkness comes. Keep the entertainment going with one of our lightscapes. Whether its halogen lighting or LED lighting, we can install it for you. We are adept in all types of lighting systems so even if you want us to maintain an already existing system we can do it for you. We offer you landscape lighting accompanied with customer experience like none other. When you call us, you get a free demonstration of the lighting system before we install it fully. This gives you the opportunity to make any changes you would like and see what the final result will look like even before the system is installed. For more about the services we provide, contact us today.